A leading provider of cyber-security solutions globally, Check Point Software Technologies has recognized Africa as an important region for growth and investment, particularly as African countries are increasingly a choice target for cybercriminals. It’s no surprise that mobile attacks are having a major impact on organisations is Nigeria. One of the key markets in Africa, Nigeria is quickly becoming a mobile-first country, with mobile penetration increasing from 53% in 2016 to 84% in 2017. And considering the availability of phones is at a lower price point, more Nigerians are now able to afford a mobile device. The current threat landscape has evolved into a much more aggressive beast. We are now experiencing Gen V (5th Generation) cyber-attacks, which are characterized as large-scale and fast moving across multiple industries.“These sophisticated attacks on mobile, cloud and various enterprise networks, easily bypass conventional defenses being used by most organizations today as they rely on older generations of security,” says Rogers. Given the pace at which the cyber security industry operates, remaining future-focused is key. 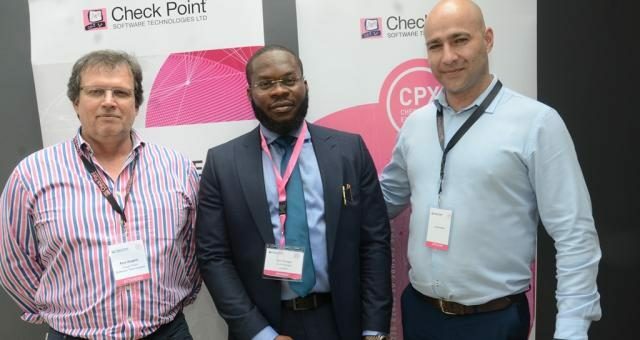 Check Point is already focused on the next wave of attacks and ensuring that our clients across Africa and the world can protect their organizations, their employees and their reputations in the ever-evolving space that is cyber security.